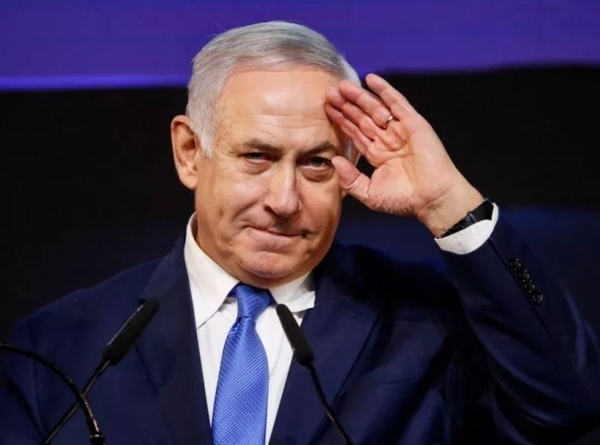 Israeli prime minister Benjamin Netanyahu's narrow victory in this week's election, prevailing through the complicated Israeli electoral process while under preliminary criminal indictment, is a formidable achievement. Next year he is set to become the longest serving prime minister in the country's history, over 14 years. In Israeli elections, the composition of the Knesset (parliament) is entirely by proportion of the total vote; there are no constituencies. In their zeal to ensure that all voices are heard, the founders of the State of Israel determined that any party gaining one per cent of the vote would be seated in the 120-member chamber. The result has been bulky coalitions, and the occasional grand coalition between the two major parties in which the four-year term is divided; two years as premier for each of the principal party leaders. The proverbially argumentative Israelis make self-government as difficult as possible. According to the Old Testament, God Himself described the Jews as "a stiff-necked people;" apparently, according to ancient scriptures, even the Almighty, in contemplation of His chosen people, was reduced to understatement. Netanyahu's victory, to which U.S. President Trump made a significant contribution, by moving the U.S. embassy in Israel to Jerusalem and recognizing the annexation to Israel of the Golan Heights, along with the emergence of a strong and coherent opposition under a compelling leader, the Blue and White Party of Gen. Benny Gantz, marks several milestones in Israel's progress. This is the first time the country has had two parties that between them had a solid majority since the more stressed days of Menachem Begin and Yitzhak Shamir on the right (Likud) and mainly Sephardim, and Yitzhak Rabin and Shimon Peres on the moderate left-Labour (Mapai) and mainly Ashkenazi. (Sephardic Jews are mainly of North African and Middle Eastern origin and Ashkenazi are mainly European.) Netanyahu has reconstructed Likud from the residue left after Ariel Sharon took most of the Likud Party into a new party (Kadima) more disposed to negotiate, in 2005, leaving Netanyahu holding the bag with only a handful of Likud legislators. In evaluating what Israel has achieved in its 71 years of history as an independent state, it is good to remember that it began as a strip of desert, the refuge for a people nearly half of whose entire population, after over 5,000 years of distinctive existence, had been exterminated in the death-camps of the Third Reich. Israel was the belated homeland for a tragically and savagely reduced people, and it set up in an ill-favoured land of (as the Roman governor Pontius Pilate said in the first century AD), "sand, camels and Jehovah"). Officially, Israel has been at war for its entire history, and yet this beleaguered, ancient, exhausted land, without resources except recently discovered off-shore oil and natural gas, and painstakingly expanded agriculture, and the inexhaustible ingenuity, dedication and courage of its people — Jews from all over the world — has flourished miraculously. Israel has a standard of living that has reached 95 per cent of that of Italy, Spain and New Zealand; 85 per cent of France, Japan and the United Kingdom; and 75 per cent of Canada, mighty treasure house of resources with easy access to the world's greatest market, and at peace with everyone, as it is. Israel has become the world leader in artificial intelligence and is at least equal to the United States in advanced data processing. It has completely overridden the ludicrous boycott against it still being pursued in the most bigoted crevices of Western academia. Israel now has official relations with 160 of the world's 198 countries, and its position has been enhanced by recent political developments in the Middle East: two of its most virulent enemies, Iraq and Syria, have disintegrated; and the remaining nearby Arab powers, Jordan, Egypt and Saudi Arabia, are almost publicly embracing Israel as their ally opposite the ancient hegemons, the Turks and Persians (Iran), attempting again to dominate the Arabs, as they have intermittently for 2,500 years. The fact, inconvenient to the conventional wisdom much parroted in the faddish Western left, is that the Arab powers never had any use for the Palestinians, regarded them as a commercial and professional elite like the Jews and the Lebanese Christians, and played the alleged subjugation of the Palestinians like a harp, to distract the Arab masses from the chronic misgovernment they endlessly inflicted on them. Egypt dodged the bullet with the Muslim Brotherhood, which finally got its moment to govern after 80 years, and blew it. The Egyptian army, the only respected institutional force in Egypt, has resumed control, which it exercised for over 60 years under Nasser, Sadat and Mubarak. Saudi Arabia, a joint venture between the House of Saud and the Wahhabi establishment, is steadily reforming on post-feudal lines, and has reconsidered its long sponsorship of Islamist terror. The Palestinians had their chance for a state, but now both the PLO in the West Bank and Hamas in Gaza are desperately suppressing the local opposition. In Gaza, Hamas has clumsily tried to disguise its repression of those disenchanted with their severe dictatorship by pretending that all violence in Gaza is tied to the dispute with Israel. But a large number of Palestinians are tired of the hopeless dispute with Israel, their leaders have almost fumbled their prolonged opportunity for a state, the Arab powers have moved on to other things, and the Palestinians now have no leverage on anyone. Britain, when it divided up the Ottoman Empire with the French at the end of the First World War, effectively promised the same real estate to both the Jews and the Arabs. There has never really been any alternative solution to a division of the small territory in dispute, and the Palestinian share of it has shrunk as their corrupt and often genocidally anti-Jewish leaders over-invested in Arab solidarity. The Palestinians have become burdensome to the Arabs, as the Turks and Iranians encroach, with the diabolical collaboration of the Russians. Israel under Netanyahu is likely to start annexing some of the West Bank settlements into Israel. Time is no longer on the side of the Palestinians and the many opportunities for peace that the PLO wasted under Yasser Arafat by turning land-for-peace deals into two-week ceasefires followed by renewed agitation and augmented demands, have gone. The Palestinians should take what they can get, and give up their long campaign, now allegedly at its highest point of vocal frenzy, to deny the right of the State of Israel to exist as a Jewish state. Israel should not negotiate with any government that holds that position. As Netanyahu was being re-elected, Egyptian President Abdel el-Sisi was conferring with President Trump. The long-awaited Trump peace plan is likely to be something Israel accepts and sensible Arab powers join in imposing on the Palestinians. They can have their state at last with a narrowed West Bank and thickened Gaza and a secure road between them, as long as the West Bank does not become an immense rocket launch-pad aimed at Israel. Palestine was never going to be a large state, but it can be a prosperous and peaceful one, to which Palestinian refugees should have the right of internationally subsidized return. An end may be in sight to this excruciating problem at last.